The now, and then, but not at the beginning! Number 99 is an 800m2 suburban house block , which has been retro fitted to be as energy and water efficient as possible. There are a fluctuating amount of chooks plus a couple of occasional bush chooks, productive gardens, productive people, outside shower, a 25 thousand litre water tank and a 4.5 kw of solar power which feeds back into the grid. We are in suburbia, and our residents change and are often busy with work and different commitments and other community projects! Depending on what else is going on we do lots of projects or very few at our place. The house and garden had not been loved for a very long time when we moved in at the beginning of 2010. 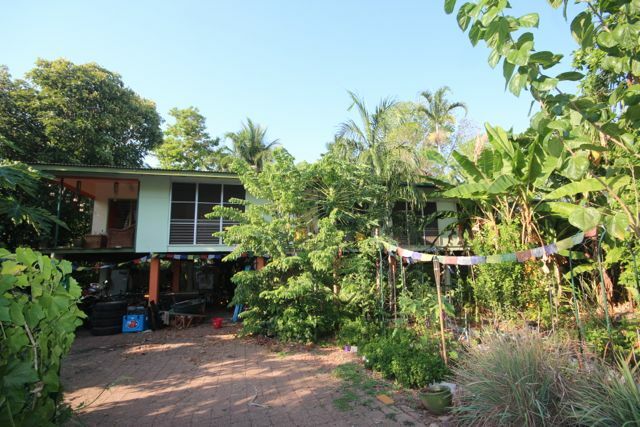 There was some lawn and jungle like stuff and no painting or work had been done since the 60s; we got stuck in and all the additions have been added when we have time/ money. …and there is always more to do..
Over the last few years we have hosted courses and open days, but now generally just live in the house with between 3 and 6 humans, plus other animals. We do still host Helpex and other visitors. We have hosted workshops at our place about gardening and we we have food share events through Food Care and community dinners. 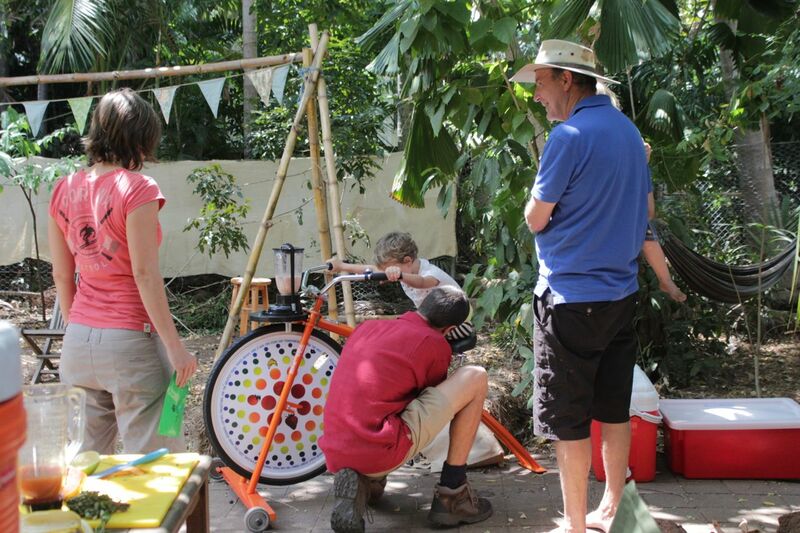 in 2013 we opened our house for ‘sustainable house day’. to try and grow lots of food in the garden, to use minimum power and water, to collect rain water and use it, to use waste water systems in the garden, generally to live a full life with less impact that a lot of people in suburban/ urban Australia and to share and inspire! Of course doing things on your own is not as great as sharing with your neighbours and creating community and a better place together! Go to the tabs below this to get more details about the solar and water systems. We love your productive Garden! Its great that you obtain a yield from all your hard work! Hah, this cracks me up- because we were nearly room mates 😛 I replied to an ad you placed in Greenies back in 2011, and we chatted on the phone a few times- I remember chatting about chickens!- but in the end we decided I wouldn’t move in because I had an 18 month old, and you guys weren’t ready for that… which was TOTALLY fair enough, but it always stuck in my head, because at such a low time in my life, you were the only guys who ever considered letting a toddler live with you. Anyways, it just struck me as hilarious that a friend shared this blog on facebook, and I recognised you. In a non stalkery way. More of a “Just wanted to say hi!” way.